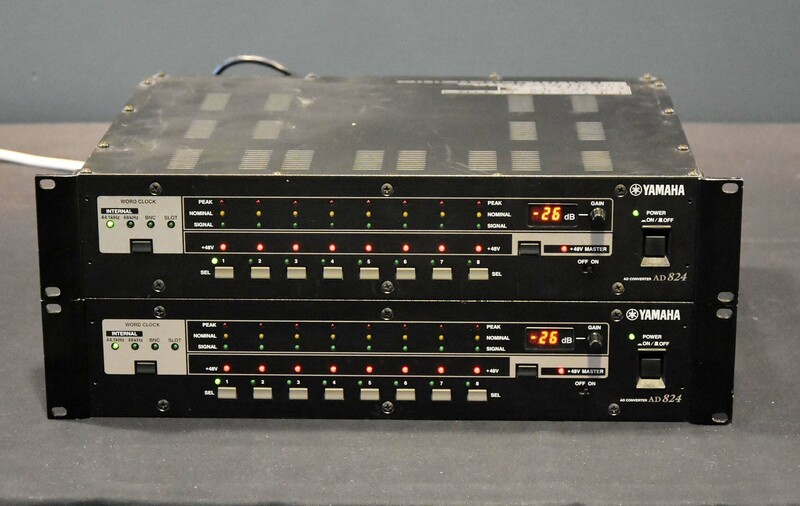 The AD824 is a high-performance 8-channel analog-to-digital converter, with 24-bit linear analog-to-digital converters and 128-times oversampling, providing a typical dynamic range of 110 dB. Optional mini YGDAI (Yamaha General Digital Audio Interface) cards offer a variety of digital output interfaces, with support for all the popular digital audio interconnect formats, including AES/EBU, ADAT, and Tascam TDIF-1. Analog inputs feature electronically balanced XLRs, high-quality mic preamps, inde- pendently switchable 48-volt phantom powering, and rotary gain adjustment. Inputs can be used with either microphones or line-level sources. 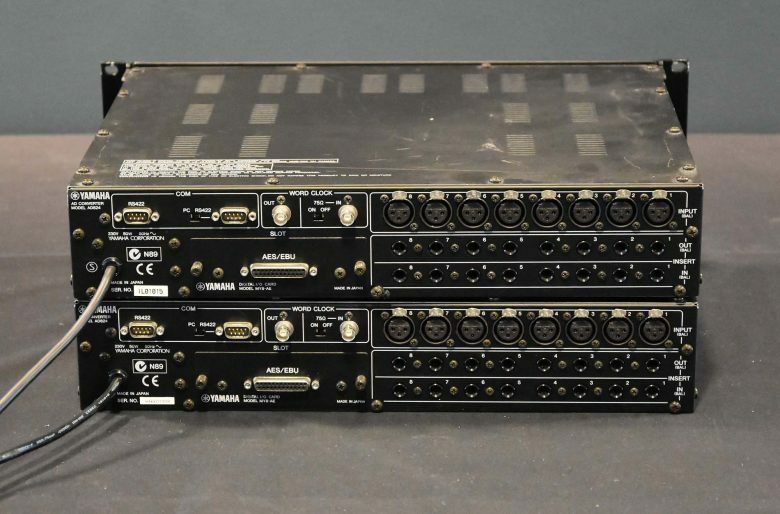 Analog outboard equipment can be patched into each channel by using the electronically-balanced analog insert points on two 1/4″ TRS phone jacks. Remote control from a Yamaha DME32, personal computer, or other device is possible using an exclusive control protocol.